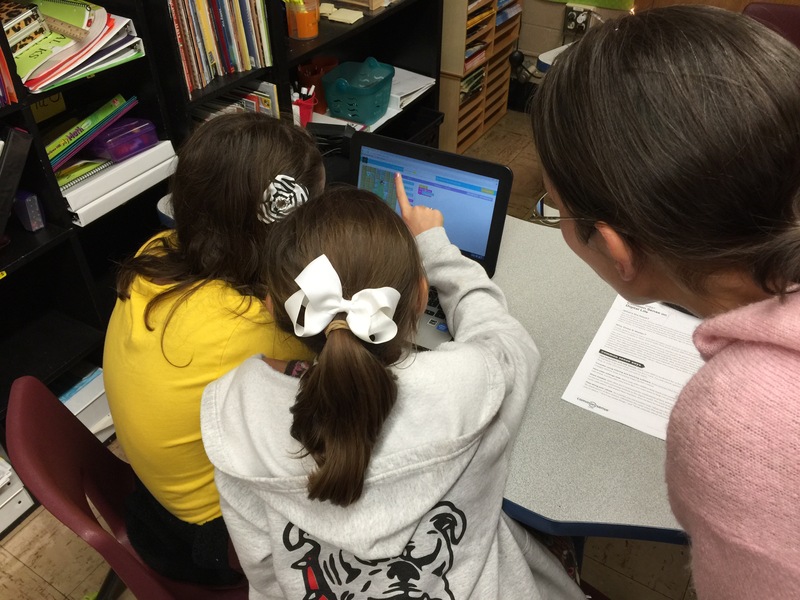 A few weeks ago I introduced our 3-5th graders at Portland Elementary to http://www.code.org and we spent an hour in each classroom just coding together! Since that time, students have been using it as a May Do in math class and even coding at home! 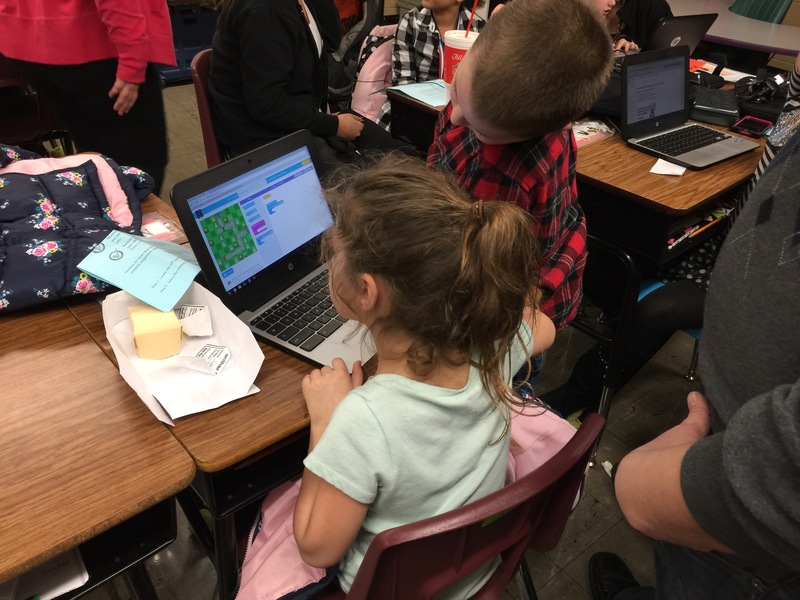 Tonight at our STEAM night it was so exciting to see students teach their parents how to code! Computer coding is an excellent way to integrate the Mathematics Practice Standards and 21st Century skills such as problem solving and critical thinking! 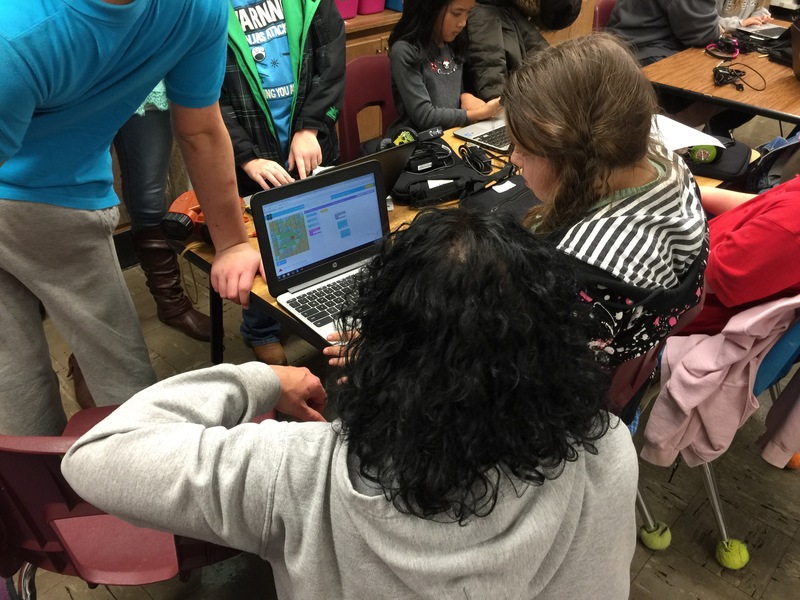 In our first Hour of Code, students had to create a program to get an Angry bird to one of those Pesky Pigs! We talked about how they would need to “be the bird” and picture the board from the bird’s perspective. It was so interesting to see students turning left and right in their seats to determine which block of code to connect next! Hour of Code opened up dialog about how to problem solve or “debug” when the code they write doesn’t work. It parallels problem solving in mathematics and other disciplines by having students trace their steps to find the problem and allows them the opportunity to go back and revise their steps. Coding has allowed our students to see themselves as problem solvers and has ignited a curiosity and sense of accomplishment in many students! I have been meaning to blog for years now and have decided it’s time to stop making excuses and carve it into my day. Math is dynamic. Math is important. Math is fun! So let’s take a journey together into elementary school math classrooms and discover how to teach students math in a way that makes students want to learn! My goal is to spend 5-10 minutes a day blogging about my experiences and lessons, so follow along and join in!